Workers on Arriva Rail North are to stage five fresh strikes on Saturdays in the run-up to Christmas in the long-running dispute over guards. Members of the Rail, Maritime and Transport (RMT) union will walk out for 24 hours on November 17 and 24, and on December 1, 8 and 15. The new action will take the number of strikes against the company to 41 since the bitter row over the role of guards on trains flared. Strikes had already been announced for the next two Saturdays, leading to huge disruption to services. Speak to your GTM account manager or one of our reservations team for more information. 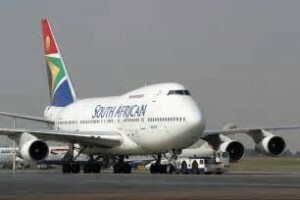 South African Airways (SAA) said late on Tuesday afternoon that it has been served with a notice of intention to start industrial action by a labour union. The industrial action is a consequence of a wage increase disagreement. SAA’s maintenance subsidiary, SAA Technical (SAAT), received a notice of the intention to embark on industrial action at the weekend from one labour union following the tabling of a wage increase proposal by SAAT. Parties have held several other meetings since the notice was served and are expected to meet again on Wednesday morning, according to SAA. SAA said that once it received the notification, it began to review and update its contingency measures to ensure business continuity and to minimize the impact of strike action on its operations. 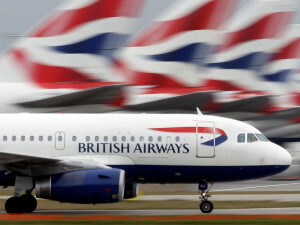 The airline will issue a follow-up communication on Wednesday morning after the meeting with the unions advising whether the strike is in fact taking place or the extent to which the strike has affected its operations if at all. Passengers flying into, or out of, London Heathrow Airport (Terminals 1, 2 and 3) may experience delays this Friday, 12th September, because of a planned ground workers strike by members of the Unite Union. Talks between Unite, the country’s largest union, which represents more than 500 ground handlers, and the management of ASIG broke down on Monday of this week over the delayed 2013 pay award, which should have been implemented 14 months ago. ASIG is a subsidiary of BBA, the largest ground handler at Heathrow. The strike will run from 00.01 on Friday for 24 hours and the airlines affected will be at Terminals 1, 2 and 3. Ground handling staff cover such duties as check-in and baggage handling. https://gtm.uk.com/wp-content/uploads/2015/05/logo_trans.png 0 0 Paul https://gtm.uk.com/wp-content/uploads/2015/05/logo_trans.png Paul2014-09-10 06:49:192014-09-10 06:49:19Planned Ground Workers Strike At Heathrow Airport. Eurocontrol reported on 8 October that all five French air traffic control unions are expected to strike at some point on 10 October beginning at 4 am GMT. Conditions will change throughout the day as staffing levels change, and different airports and air routes will be affected in different capacities. Both arrivals and departures will likely be impacted by the strike, so any flights into or out of airports in France could be impacted. Travellers should check with their travel providers or airlines for delays and cancellations. Impact is expected. The planned strike of air traffic controllers across all of Europe was cancelled. As of press time, only those in France are planning industrial action. Bloomberg News reported pilots of Air Dolomiti, an Italian regional airline and partner of Lufthansa, are planning a four-hour strike on 29 May, to protest the dismissal of four crew members and to express concern for the future of the airline. Air Dolomiti, which provides services from Frankfurt, Munich and Moscow mostly to cities in northern Italy, faces a work stoppage of pilots who are members of the UGL Trasporti Union from noon to 4 pm, local time, on Wednesday, for all flights departing from Italy. Some connections may experience delays or cancellations. Milan Malpensa Airport – Flight Disruptions Today. Lufthansa German Airlines is reporting that a strike launched by staff at Milan Malpensa Airport today (19th April) could result in flight disruptions this afternoon. The strike at Milan’s largest airport is expected to run from 12 pm through 4 pm local time. We (Global Travel Management) strongly recommend, as always, that passengers check in online to receive the very latest information on their flights. https://gtm.uk.com/wp-content/uploads/2015/05/logo_trans.png 0 0 Paul https://gtm.uk.com/wp-content/uploads/2015/05/logo_trans.png Paul2013-04-19 09:34:362013-04-19 09:34:36Milan Malpensa Airport - Flight Disruptions Today.